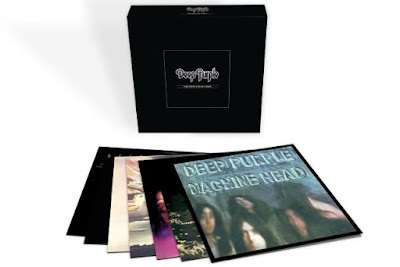 Deep Purple will release “The Vinyl Collection”, a 7LP box set featuring the groups’ albums issued between 1972-1987, on January 29 via Universal Music Catalogue. Remastered from the original tapes - including the first official remasters of 1984’s “Perfect Strangers” and '87’s “The House Of The Blue Light” – “The Vinyl Collection” offers original inserts and replica sleeves pressed on 180gm vinyl. Each album will also be made available as a stand-alone title. 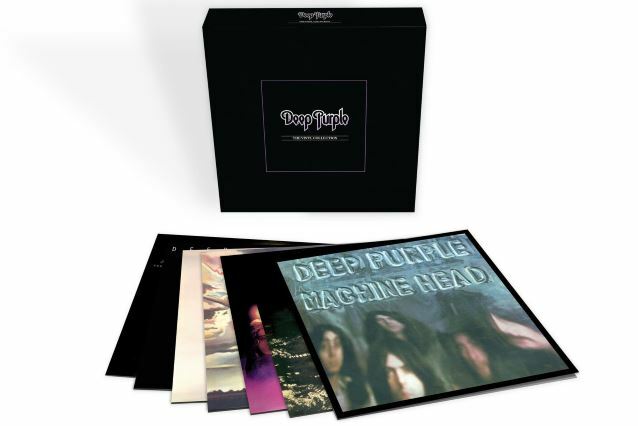 Deep Purple are among the nominees for induction into the 2016 Rock And Roll Hall Of Fame. The group are under consideration among 14 other artists for one of five spots in the Cleveland-based institution alongside Cheap Trick, Yes, The Cars and Steve Miller, among others. An announcement regarding the 2016 inductees is expected soon. Guitarist Steve Morse recently confirmed the band will enter the studio in the New Year to record the follow-up to 2013’s "Now What?!"